This article first appeared in The Edge Financial Daily, on August 4, 2016. Regardless of your stake in superhero franchises and whether you’re team Marvel or team DC, chances are you’ve been intrigued by Suicide Squad’s all-out marketing campaign. Neon posters, strong casting and the promise of the Joker have built heavy hype surrounding the anti-superhero movie, which, except in extraordinary circumstances, almost inevitably spells disappointment. 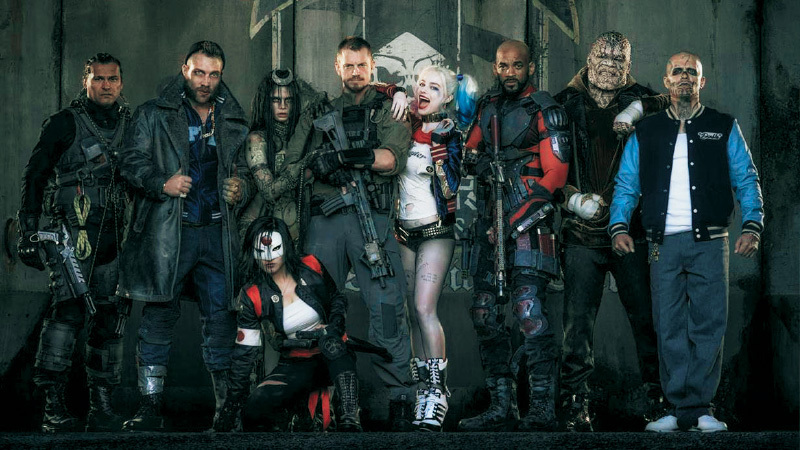 Warner Bros gets props for superb casting, bringing together Will Smith (marksman Deadshot), Margot Robbie (Joker’s girlfriend Harley Quinn), Adewale Akinnuoye-Agbaje (the scaly Killer Croc), Jay Hernandez (reluctant pyromaniac El Diablo) and Jai Courtney (Captain Boomerang — guess his weapon of choice). In a time of peace, US intelligence officer Amanda Waller (played by Viola Davis) assembles a ragtag team of the most villainous of villains from the notorious Belle Reve Federal Penitentiary to prepare for possible future threats wreaked by metahumans — “What if the next Superman isn’t on our side?” she justifies. They are placed under the supervision of elite operative Rick Flag (Joel Kinnaman), whose vested interest in the task comes in the form of his archaeologist girlfriend June Moone (Cara Delevingne), possessed by ancient witch Enchantress. When Waller attempts to harness Enchantress’ powers, the witch escapes and enlists the aid of her brother, Incubus. Waller has created her own villains and rather lacklustre ones at that. Once worshipped by man and furious at being outcast in modern times, Enchantress vows to create a machine that will destroy the world. Dramatic, interminable swaying ensues as she summons a great light topped by swirling metal chunks to assemble her weapon. What exactly it is, no one knows. Apparently not even Enchantress herself, who, near completion of the mysterious machine, asks Waller how she could best go about destroying her soldiers. Such muddy plotlines — hasn’t this light-through-the-sky visual been done to death already — and the leaps of logic required to make this believable, let alone to emotionally investable, prove the downfall of the movie. It’s a pity too, as it has potential to be so much more — more cohesive, impactful, dark, hallucinogenic. Smith and Robbie have good chemistry, though Robbie’s Harley Quinn suffers from erratic character development. She’s more Barbie with a bat than psychedelic psychopath. The same goes for her other half, Joker (Jared Leto). Though prominently featured in marketing materials, he is little more than a lovelorn sideshow here, with antics falling far short of the outrageous mayhem expected of the Clown Prince of Crime. Leto makes for a promising Joker however — it would be interesting to see what he could do with the role given the right script. Brief flashbacks and dialogue references deliver the backstories of the Suicide Squad to establish their current motives. Explosive chips implanted into their necks and controlled by a smartphone app by Flag and Waller ensure they toe the line in a mission to rescue a secret VIP from the destruction Enchantress is wreaking in the city. Given that they’re notorious villains, they play nice too easily and camaraderie is forged in a matter of hours, as the bulk of the story unfolds over the course of a single night. Akinnuoye-Agbaje makes Killer Croc likeable enough for a crusty, killer reptile but Courtney’s Captain Boomerang is superfluous. A remorseful El Diablo gains Hernandez instant sympathy while Smith’s fatherly instincts make him relatable — both characters have been fleshed out enough to have audiences rooting for them. Smith also has some of the best lines in the movie, though nothing especially quotable. The soundtrack is as varied as the tones and textures of the show, running the range from Bohemian Rhapsody to Purple Lamborghini by Skrillex and Rick Ross. There are moments when everything comes together beautifully but they are too brief, few and far between — Harley Quinn’s introductory scene, for instance, underscored by Eminem’s attitude-rich Without Me. Cameos of Batman, the Flash and the Joker’s limited scenes set up future franchises but add little value or thrill to the story. In trying to please everyone, the choppy Suicide Squad does exactly the opposite. In a movie about villains — the worst of the worst, at that — there are none to be found. In fact, the coldest, most cut-throat persona here seems to be Waller. That said, and despite all the negative feedback already floating around, there is no doubt that fans will be flocking to catch it.